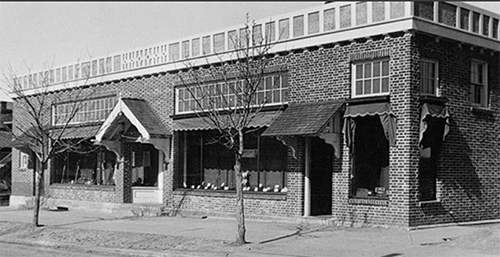 Great learning experiences can sometimes have inauspicious beginnings, such as with the small wood-framed building the Associated Students at Washington State University established in the spring of 1914. With an initial investment of $2,000, the co-op bookstore on the Pullman campus was created as a way to help students save money on textbooks and supplies while also providing basic refreshments such as hot chocolate, milk shakes and sandwiches. 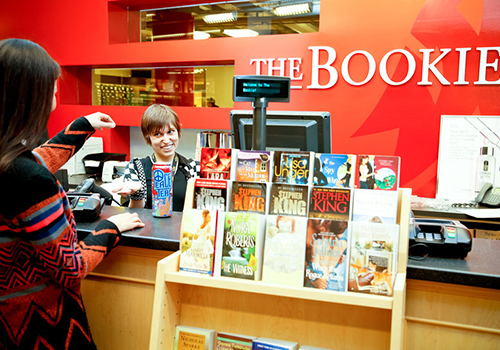 True to that tradition, and one hundred years later, The Bookie, Washington State University’s official bookstore, operates with that same goal, and with the same determination to support the school’s mission. Located in the wheat fields of Southeastern Washington’s Palouse prairie, and hard on the state line with Idaho, Pullman is a small, collegiate town where half of the residents are students and where Washington State University has resided since 1890. Well known as one of the top research institutions in the country (Microsoft co-founder Paul Allen is an alumnus), its academic areas of study also includes communications, a music school, and veterinary and agricultural colleges. A new wood-framed building with exterior brick was constructed in 1923 next to the music conservatory and financed by the Associated Students. Photo from 1924, courtesy of WSU Manuscripts, Archives and Special Collections. That kind of growth and recognition has done nothing to shift the traditions of the campus, and The Bookie is still the students’ bookstore just as its founders intended. “We’re very unique in that we report to a board of directors who oversee the operation of the store on the students’ behalf,” explains Store Manager, Leslie Martin. But the expansive retail space located in the Compton Union Building, or CUB, at the center of campus, has little else in common with that first building. 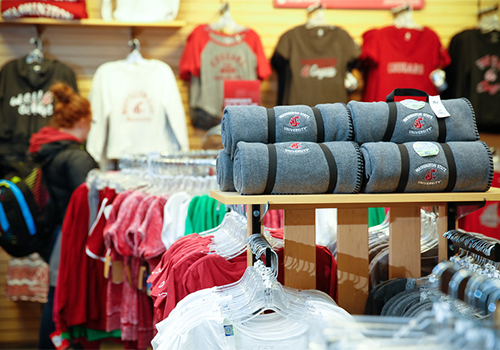 Included within the bookstore is a café, Clinique make-up counter, technology and trade book sections, as well as an expansive array of crimson and gray Cougar merchandise. “We’re situated right next to the stadium, and with a huge alumni base who are dedicated to their Cougar Football, we can be wall-to-wall with fans on game days,” Martin explains. Catering to that kind of customer base, plus the management of additional stores at other WSU locations and a thriving virtual global campus, requires staffing, and some 90 percent of the store employees are students. “They work their shifts between classes, and even come into the store at times when they’re not scheduled. A lot of our student booksellers have never had a job before and it’s amazing to watch their work ethic develop,” Martin says. One special connection to the University that brings alumni back to The Bookie is a particularly unique product the bookstore sells. The WSU Creamery is famous for its range of aged-canned cheese, especially its Cougar Gold variety, which is always in demand. “We have a limited allotment at the store which, between students and our alumni, is normally sold out by Halloween or early November,” Martin says. To say that the idea of that early bookstore venture was a success might be an understatement. To celebrate their 100th anniversary last year, the Students Book Corporation board presented the WSU student body with a $100,000 dividend. And though quick to defer praise to her staff, one reason for that success might lie with Martin herself, whose achievements managing The Bookie were celebrated last year when she won the Barnes & Noble College Leadership Award. WSU Bookie Store Manager Leslie Martin helps a WSU student with Washington State apparel.